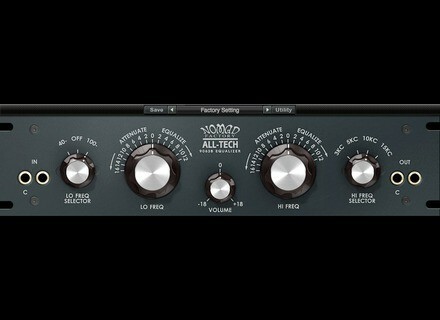 ALL-TECH 9063B EQ, Software parametric EQ from Nomad Factory. Nomad Factory have digitally recreated the vintage ALTEC 9063B Program Equalizer. The ALL-TECH 9063B Equalizer emulates the ALTEC 9063B Program Equalizer. Nomad added a simple Output Level control for better control on the overall level. The ALL-TECH 9063B Equalizer is designed for reshaping sounds during mixing and re-mixing as well as for creating your own sound and special effects. Check out this page for more details. Toontrack SDX: Music City USA The Music City USA SDX is the newest library of drum samples and MIDI grooves for Superior Drummer 2.0. TC Electronic PolyTune for iPhone Beta Test TC Electronic announced a beta test program for its new iPhone/iPod Touch version of the PolyTune guitar tuner. Image Line Updates FL Studio to v9.1 Imageline has released an update for FL Studio.